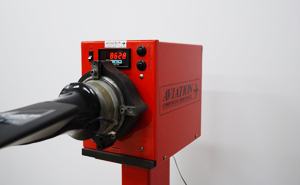 Aviation Component Services (ACS) is a specialist aircraft hydraulic and mechanical component repair and overhaul facility located at Moorabbin Airport, Melbourne, Australia. We have very experienced and appropriately qualified staff that includes aeronautical engineers, mechanics and NDT (Non Destructive Testing) specialists. We value the partnership developed with our customers which is based on quality and service. By being responsive to our customer requirements, ACS has developed a long standing relationship with customers over the years. ACS is the designer and manufacturer of a digital balancer for moment balancing of propeller blades. The ACS balancer is approved by Hamilton Sundstrand for balancing of composite propeller blades. We use the computer based Aerotrac by TracWare software for project management, stock control, process control, invoicing, quoting and reporting. We are approved by the European Aviation Safety Agency under Part 145A and The Australian Civil Aviation Safety Authority for repair and overhaul of a large range of hydraulic and mechanical components. ACS also holds CAR35/36, design approval, and CAR 2A, approval of maintenance data, from CASA. 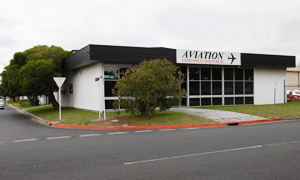 Our customer base encompasses the leading regional airlines in the Australasian and Pacific region and includes Qantas link, Regional Express, Cobham Aviation, AirNorth, Skytrans Airlines, Airlines of PNG, Air Nuigini, Vincent Aviation and Network Aviation.